ACP Services Ltd, take privacy seriously and have implemented safeguards in line with GDPR requirements to ensure that all data is stored in accordance with current data protection laws. All companies and individuals who have received a quotation or information from, purchase services or equipment from or supply to ACP Services Ltd. have their company details and relevant contact details stored on our accounting package. Data will include company delivery & invoices addresses, telephone & fax numbers and also individual telephone numbers, email addresses. It will also include where relevant details of bank accounts including bank account numbers & sort codes. We do not record or store details of credit cards in line with PCIDSS requirements and we have no requirement to & do not record individual’s dates of birth or other personal details other than those required to forward information or products to the correct address. 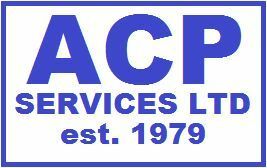 ACP Services Ltd. are a supplier of workshop equipment and services as well as vehicle maintenance and repairs and use stored data to trade with suppliers in the UK and overseas. This will include bank details for payment purposes. ACP Services Ltd. do not generally share company or individual’s data with any other company save for the requirement of arranging the provision of a good or service to a customer where a delivery address and or contact detail may be required to be provided to a supplier. Any 3rd party that could have access to our data are not given permission to process data for marketing purposes. Electronic data is stored indefinitely and paper records such as supplier invoices are stored for 7 years as required by law. Please contact our data protection officer at Sarah here 01785 851179.